We will be happy to discuss Stock Crates with you. Uralla Metal has been the New England’s trusted stock trailer builder since 1996. 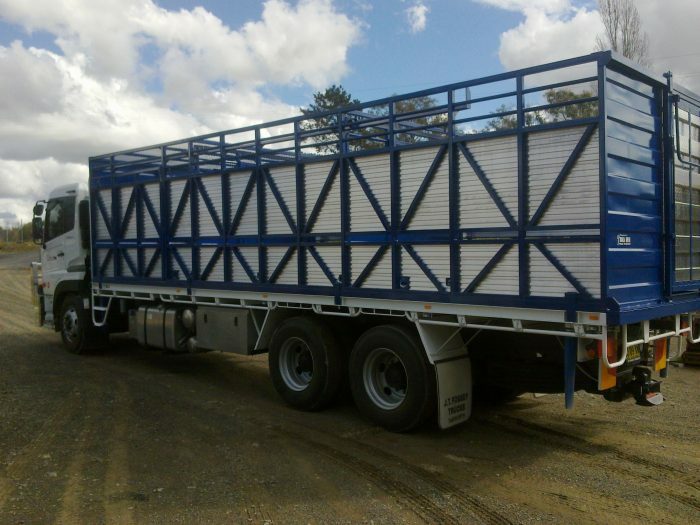 We can design, manufacture and repair custom stock trailers and cattle crates to suit your individual requirements. At Uralla Metal, we know that one size doesn’t fit all. That’s why we provide custom-built stock crates that are as diverse as the needs of our customers. 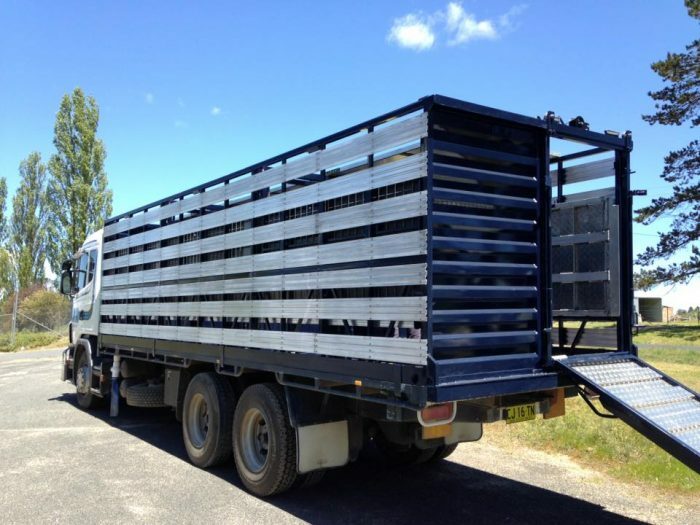 We are experts in constructing safe, ventilated, non-bruise stock crates and trailers for any transport applications in the livestock industry. Our experienced team can build and customise 2×1 and single deck crates from quality materials and Australian steel at very competitive prices. Our custom stock crates are designed to meet your needs and budget. Whether you’re working in the farm, ranch, livestock or industrial sectors, Uralla Metal is committed to creating your perfect trailer. Why do our customers prefer Uralla Metal custom stock crates? Uralla Metal has established a reputation as the NSW Tablelands’ premier vehicle manufacturing facility. Over the past 20 years, we have successfully delivered hundreds of custom stock crates to individuals and businesses in Uralla, Armidale, Tamworth, Inverell and surrounding areas. We are the livestock trailer builders you can trust to get the job done right. Our team are experienced, highly trained and fully qualified local tradespeople who work together to ensure that each build is even better than the last. We are experts in our industry. Whether you need a custom stock crate, a durable livestock trailer, on-site maintenance or general repairs, our professional team is ready to get to work for you. Our innovation, knowledge and expertise ensures that we can design and build the highest quality cattle crates and stock trailers to your specifications. We aim to incorporate your needs and ideas into our products to deliver the custom stock crate that is right for you. Plus, we proudly use Australian materials to design and build crates that last. 2×1 Convertible Stock Crates — 2 metres high x custom lengths up to 48ft, with optional extras and customisations available. Single Deck Cattle Stock Crates — 2.15 metres high x custom lengths up to 48ft, with options for interior lighting, different gate configurations, loading sides and more. Our stock crates are built to last with a wide range of options and inclusions to meet the specific needs of stock carriers, graziers and our other clients. We can customise our crate trailers with different walkways, deck lights, aluminium ramps and other individual solutions — and all while ensuring your custom stock crates are engineered in line with our safety and functionality standards. Contact us today to discuss your custom stock crate and trailer needs. Whatever livestock you need to transport, and whatever customisations you require, we will work with you to create your perfect product.